Dr. Sun received his Ph.D. degree in physiology at Peking University in 2004. Dr. Sun worked as a postdoc fellow in Dr. Zhou-Feng Chen’s lab at Washington University at St. Louis (2004-2008) and Dr. Michael Beierlein’s lab at University of Texas Health Science Center at Houston (2008-2012), studying molecular and cellular mechanisms of sensory processing. 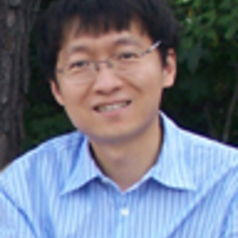 In August 2012, Dr. Sun joined ION as a Principal Investigator, and his major research interest is to understand how sensory information is processed in neuronal circuits.